The InnoMedia IP Phone 6308SL2 offers all the features you would expect on a business telephone equipped with multiple business function keys, full duplex speaker phone, device-based 3-way calling, and digital voice quality wideband codec. IP Phone 6308SL2 is ideally positioned for broadband service providers looking to deliver new revenue-generating telephony services to their business customers. The IP Phone 6308SL2 is equipped with features ideal for business use. It comes with 2 telephone lines as well as convenient function keys – conferencing, call transfer, call hold, speaker, mute, and redial. Its directory button and call log button allow direct access to a contact list with speed dial numbers and call history information. The built-in PoE eliminates the need for an additional power supply for the phone. 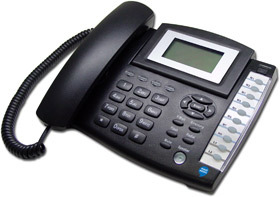 The dual Ethernet ports on the IP Phone 6308SL2 allow users to share a WAN connection with a desktop PC. The IP Phone 6308SL2 effortlessly delivers digital voice quality superior to that of PSTN. It offers 7 KHz of audio bandwidth using 16 KHz sampling wideband codec, its dynamic jitter buffer smooths out the garbled voice often experienced with high-traffic networks. It further supports IEEE 802.1 p/Q and TOS tagging to offer QoS. Built-in powerful CPU can handle 3-way calling with ease. Even with a network of PCs connected to its LAN port, your users can rest assured that voice quality will not be compromised, as voice packets are prioritized over data originated on the customer side, thus reducing voice packet drops and minimizing its latency. Compliant with many provisioning protocols, the IP Phone 6308SL2 can be quickly and easily auto-provisioned. This makes it easy for subscribers to install while reducing your operation costs by providing remote software upgrade, system provisioning and configuration capabilities. The device automatically checks for firmware updates and downloads the latest configurations. IP Phone 6308SL2 works with the InnoMedia Device Management System (DMS), allowing remote device management. 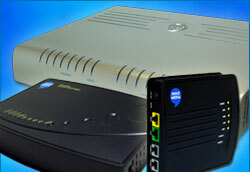 The DMS provides a convenient and reliable vehicle for operators or support personnel to manage the device with a network view, MIB configuration, event alarm, fault management, performance monitoring, as well as the ability to remotely connect to the device via Telnet, web, or perform SNMP Get and Set even when the device is behind NAT/firewalls.